Have you ever cursed the mess of mulberries on the sidewalk from mid-June through early August? 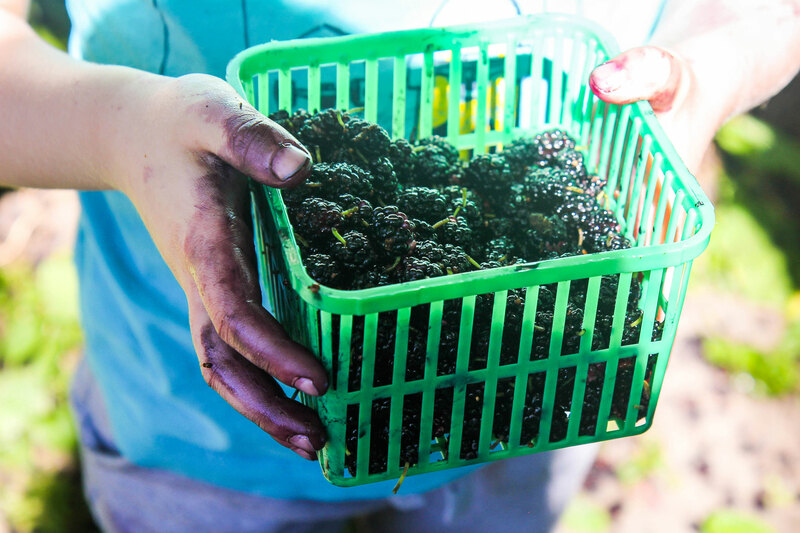 Did you know these mulberries are actually delicious? The Annex Residents’ Association hosted its second Annual Mulberry Festival on July 7 at Jean Sibelius Park. Attendees picked mulberries from trees in the neighbourhood, and participated in a tree canopy tour with Sandy Smith, a professor in the University of Toronto’s forestry department, who shared her vast knowledge of our urban forest. One of the most beautiful gardens in the Annex also hosted visitors, and there were talks about native plant species and what grows best in our soils. Snacks and refreshments were available — participants brought a cup for some cool lemonade as this was a waste-free affair.